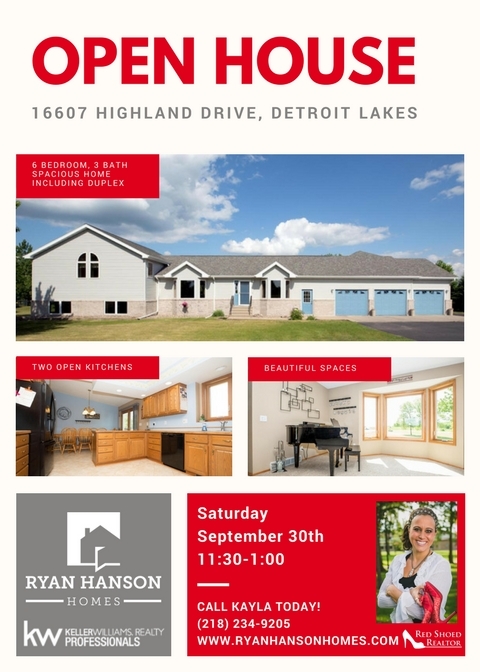 Mark your calendars for Saturday, September 30th from 11:30-1:00 to see this 6 bedroom, 3 bath spacious home which includes a duplex in Detroit Lakes… AND it just had a PRICE REDUCTION too! You won’t want to miss it! Go to https://www.ryanhansonhomes.com/…/Detroi…/MN/56501/73569527/ for more details.